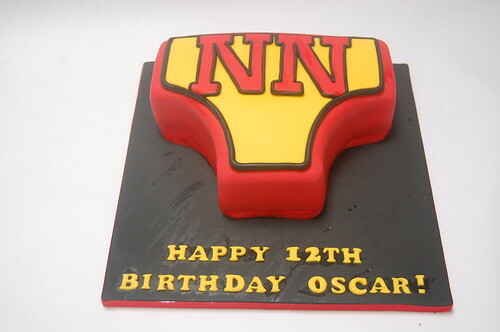 We can’t quite believe we have never done a Plumbing-themed Cake before, but were delighted by how this first attempt for Jethrow turned out! 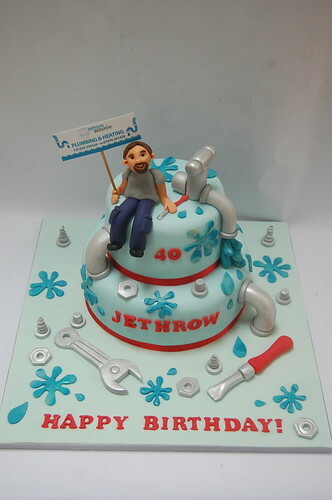 The Plumber’s Cake – from £90. This was such a fun cake to create for a member of the Royal Navy, complete with golden dolphins on the shirt and gold shoulder stripes! 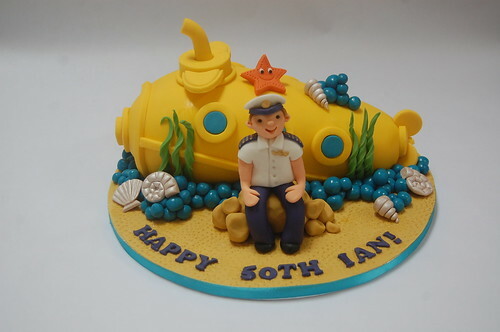 The Submarine Cake – from £80. Our cutest and most colourful dinosaur cake to date! 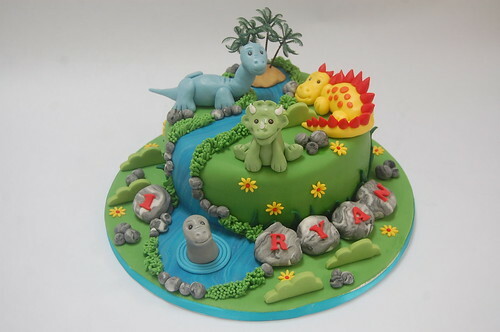 Ryan’s Dinosaur Cake – from £80. 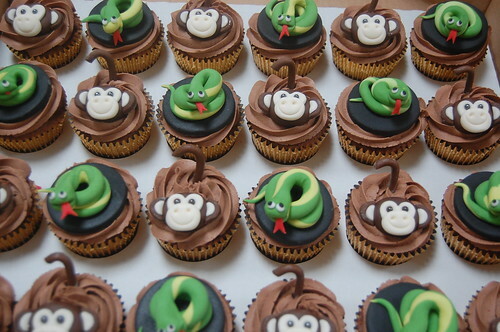 This was specially designed for a company who accompanies minors to their boarding schools in Spain! 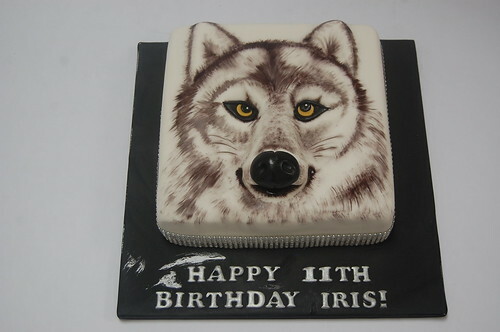 We had such fun designing this one! 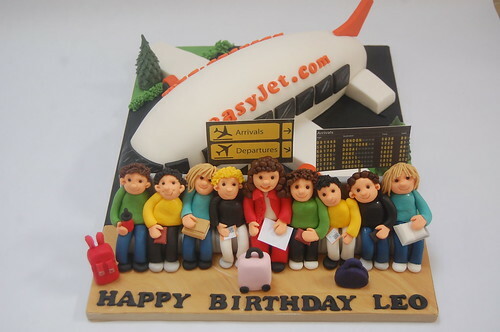 The Flight Guardian Cake – from £100. 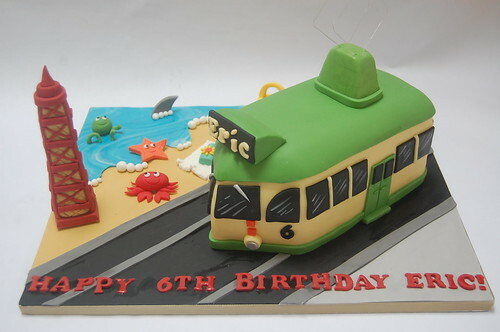 Most definitely our favourite golf-themed cake to date. This one just has it all – buggy, bunkers, bag, cute little duck and funny little golfing figure! 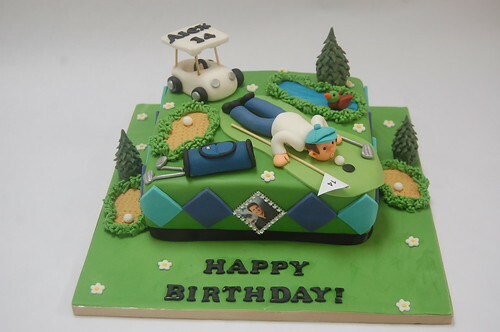 The Ultimate Golf Cake – from £90. Perfect for a Chelsea fanatic – other teams available! 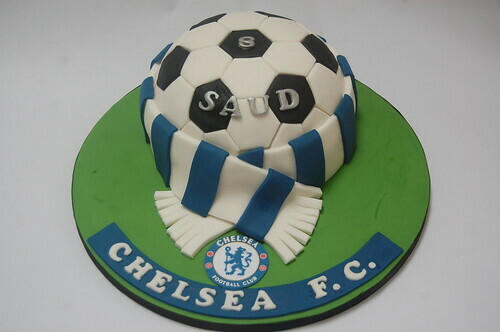 The Chelsea Football Cake – from £75.